This house, at 1219 Jackson Street, was built in 1870, by Captain R. A. Johns. The door is flanked by rectangular sidelights, and topped with a fanlight. 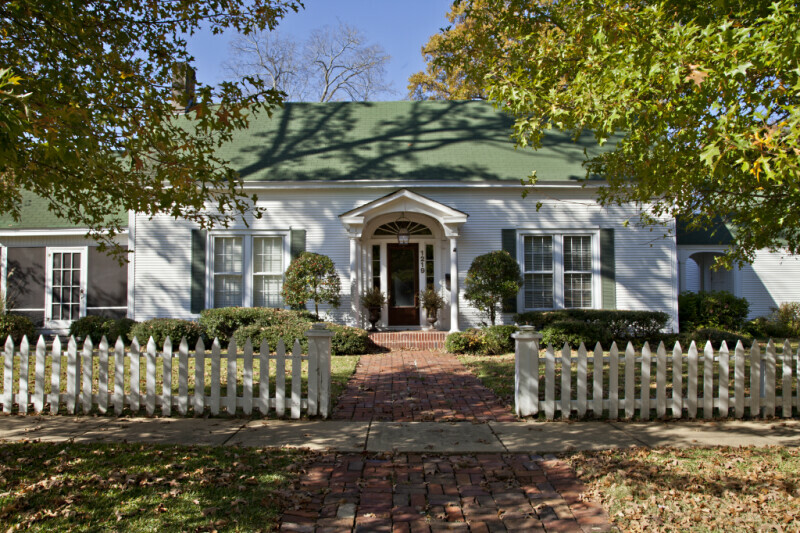 The porch is covered with a steeply-pitched, front-gabled roof, with cornice returns. There are paired six-over-six sash windows to either side of the front door. A brick walkway leads to the front door.